Moving to Saskatchewan - Compare Movers & Save up to 70% ! Intlmovers is the perfect way to request up to six quotes from different international moving companies. If you are moving to or from Saskatchewan, we have moving and shipping companies who are specialists in moves to and from Saskatchewan. It is quick and easy to submit your request, and you will only need to take a couple of minutes to complete the request form. The international moving companies will contact you directly with their offers, so there is no chasing around. 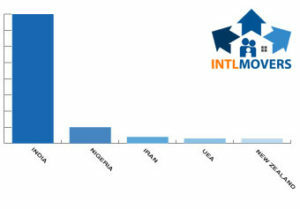 With Intlmovers allowing you to compare a number of quotes in a single request means saving you a lot of time. You don’t have to ring around because the international moving companies receive your move request immediately. When you are able to compare a number of quotes, you can easily see what different prices and services are available and save yourself money. Organizing an international move involves a bit of preparation and work. You can let the international moving companies, who are specialists in logistics, help you manage much of what needs to be done. They will help ensure that your move is handled professionally, and that correct processes are followed to avoid any delays with the transfer of your business and personal goods to or from your address. Choose where you are moving to and from on the menu. Complete the simple online form in minutes. 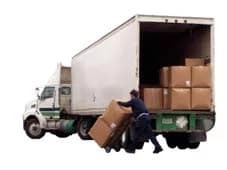 Multiple movers will contact you within one business day. IntlMovers had moving professionals in Saskatchewan Canada which can reduce your moving cost! Saskatchewan is largely known as Canada’s main grain producer. Farming and mining make up a large portion of the economic production. This province receives more hours of sunlight than any other Canadian Province. The climate can be described as continental humid because the summers can get very hot and humid. July and August temperatures reach above 32°C / 90°F and winter generally stays for weeks at -17°C / 1°F Saskatchewan is an immigrant friendly province with a very low income tax rate and a free healthcare system. The province has a large portion of native North American tribes and a friendly country style living. The landscape in Saskatchewan is very diverse from North to South. The North is considered heavy forest land whilst the North East contains one of the largest moving deserts in the Northern hemisphere. The main part to the Southern part of the province is considered prairie land and holds rich soil for farming. Other striking features of Saskatchewan include14 water drainage basins that drain into the Hudson Bay, Atlantic Ocean and Gulf of Mexico. 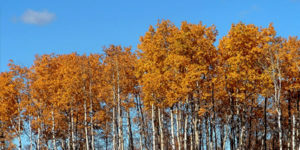 Winters can be long and cold in Saskatchewan and the Province can be covered in snow from November to April. But that does not slow down these winter hardy residents because people stay quite active during the winter time in Saskatchewan. Winter sports are abundant and many people enjoy skiing, snowmobiling, cross country skiing, ice fishing, snow tubing or hiking. You can join active clubs to keep busy, practice your skills and meet new friends. Country Living- Get away from crowded cities and heavy traffic. You will find plenty of open space and friendly towns. Beautiful Views- The province of Saskatchewan was once shaped by glaciers which left behind waterfalls, carved canyons, water basins, prairies, and undisturbed wild beauty. Adventure- Fishing, camping, hiking, rafting its all minutes away from any location in Saskatchewan. Winter fun- Ok so its cold outside but there is plenty to do and enjoy. Downhill or cross country Ski, race on a snowmobile, go dog sledding, try ice fishing, or warm up to a hot mineral spa. Work on your Drive- Saskatchewan has over 300 golf courses to choose from. The cost of living in Saskatchewan is lower than most of the Canadian Provinces. It’s very affordable to buy a home in this Province. The Provincial Tax is a very low 5% the lowest of any Province. People in Saskatchewan enjoy lower auto insurance cost and there is almost no long commute time to work since 20 minutes is the longest commute time recorded from any major city. Saskatchewan in fact pays a great deal less than their British Columbia neighbors as much as 38% lower personal income tax. The moving companies on Intlmovers are professionals, who often offer specialization in specific services or fields. You do not have to worry about your property being damaged because they will ship it reliably and responsibly, so that your belongings arrive in unscathed and ready for you to start your new life in Saskatchewan. Without any obligation, you will have the chance to compare quotes. This will save you time and money. You will receive a preselected list of 6 moving companies, which match your international moving and shipping requirements. By requesting and comparing quotes, you will find the perfect moving company for your relocation.